The award of the international project "Platforms of European Memory and Conscience" testifies that the problems of the Crimean Tatar people are recognized at the European level, the Deputy Chairman of the Mejlis of the Crimean Tatar people Ilmi Umerov said at a press conference in Kyiv, QHA correspondent reports. “In fact, this [awarding the prize, - Ed.] is a recognition of the problems that exist in Ukraine, the problems of the Crimean Tatar people at the European level. It’s not only my achievement, but the entire people," Umerov said. He also recalled that the first person to receive this award was the Commissioner of the President of Ukraine for the Affairs of Crimean Tatars, the leader of the Crimean Tatar people Mustafa Dzhemilev, who today celebrates the 74th birthday. 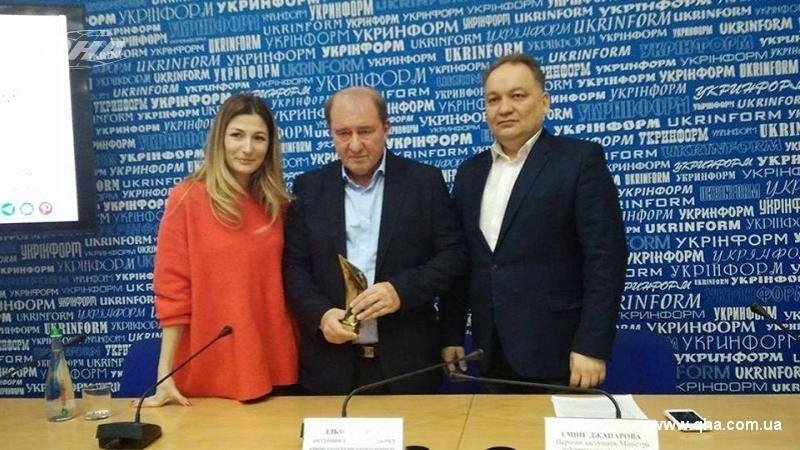 A member of the Mejlis of the Crimean Tatar people Eskender Bariev in turn noted that the idea of Ilmi Umerov's nomination for the award was born after his conviction by the occupation court in Crimea. According to him, the publicity of the situation on the international arena could affect the subsequent decisions of the Crimean "authorities" on changing the measure of restraint. “On September 27 the court in the Crimea passed a verdict under Art. 280.1 of the Criminal Code of the Russian Federation - calls for actions that threaten the territorial integrity of the Russian Federation. Then, on the initiative of the Mejlis of the Crimean Tatar people, we came out with an initiative to nominate Umerov for an award in order to influence the subsequent "trials," Bariev stated. Bariev went on saying that Umerov’s receiving the Prize is another contribution to the development of international law. The awarding ceremony was held in Paris on November 8. It should be noted that the "Platform of European Memory and Conscience" includes 40 organizations and 18 countries. People who struggle with the totalitarian regime become its laureates.